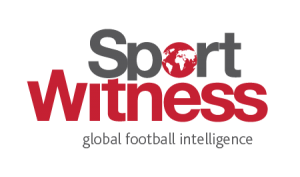 Earlier in the transfer window, Southampton allowed Cedric Soares to join Inter Milan. The Portugal international made 18 appearances in the Premier League for the Saints this season and the’re in the market to find a replacement for the 27-year-old in the winter market. 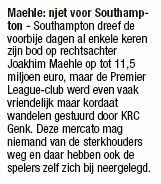 Wednesday’s edition of Belgian newspaper Het Belang van Limburg claims the English club have turned their attention towards the Jupiler Pro League in search of a new right-back and have set their sights on Joakim Maehle of Genk. Ralph Hasenhüttl’s side have been improving their offer for the Denmark U21 international in the past few days and now submitted a bid of €11.5m to sign the defender. Unfortunately for them, Genk are unwilling to do business because they don’t want the player to leave the club midway through the season, and he’s also accepted that it will be difficult to go this month. Maehle’s contract at Genk runs down in 2020 and they have the option to further extend it by a year. When the Cedric deal was first being reported in Italy, it was stated Maehle was a replacement target.